grinding/EDM angle clearance within R0.01. 8)packaging type : inner package with recycle plastic box after anticorrosive oil spraying,out package with sponge and PE bag. 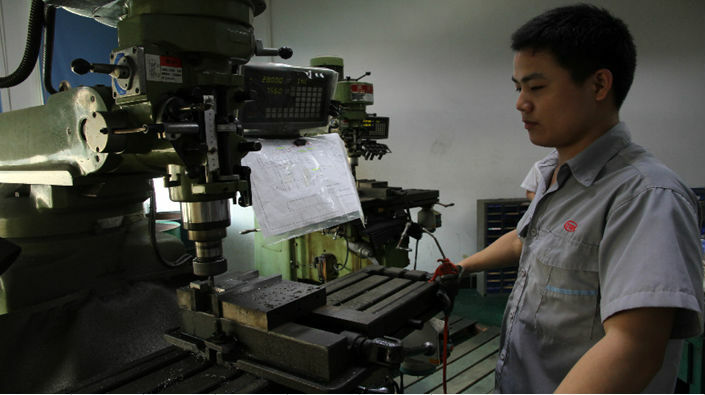 Two milling machines help us to handle the parts with larger tolerance holes and threads. It saves much cost for us and greatly shorten the time. 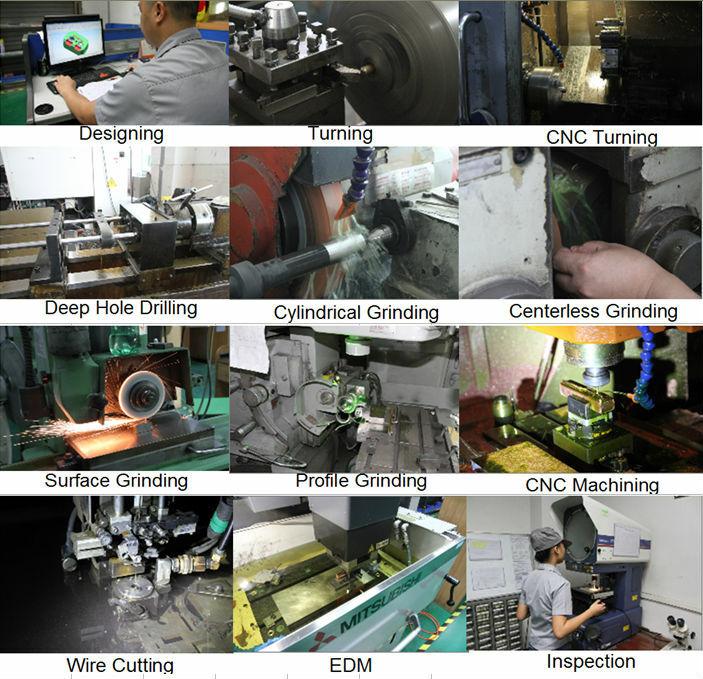 30 sets of grinding machine and skilled workers enables us to make large quantity mould parts with high precision in a short time.Our grinding precision can be within 0.001mm.We supply to world leaders like TE,JAE,JST,etc. 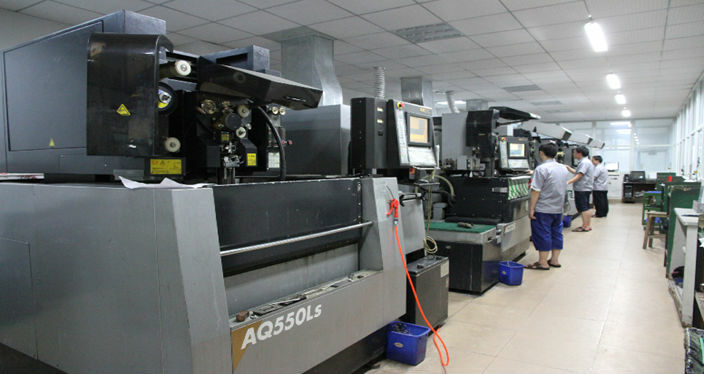 We have 4 sets of sodick wire EDM machines, it ensures general tolerance within 0.005mm,flatness,verticality,and linearity within 0.002mm.The smallest wire we use is 0.1mm. 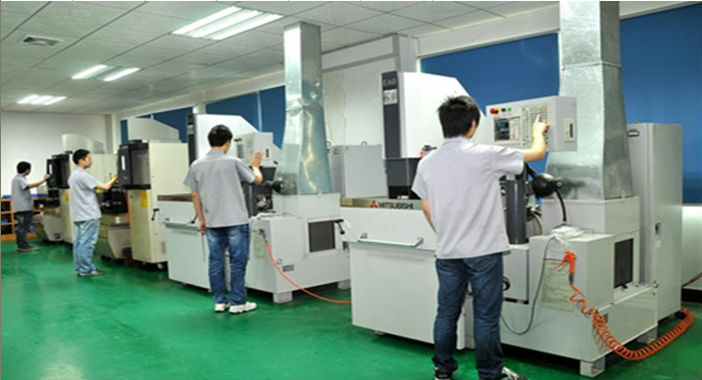 We have two CNC machines that are mainly used to make the electrodes. Copper and Tungsten copper are the main material. Our designers design the electrode and the CNC department makes it out in house. 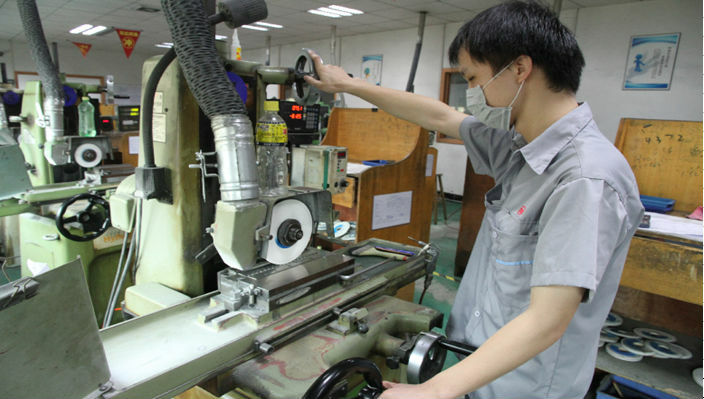 It greatly ensures EDM quality and fast delivery. 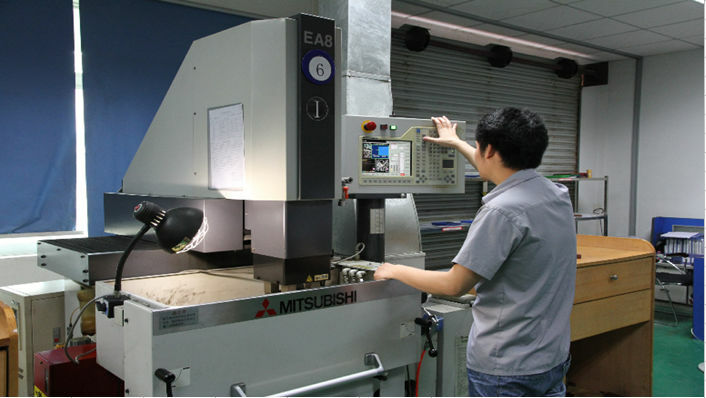 4 sets of Mitsubishi EDM machines and 10 sets of other brand EDM mahines make us possible to ensure EDM precision within 0.005mm.For some parts that need special smoothness even mirror surface,we could handle with the mitsubishi EDM machines,which ensures Ra0.15. 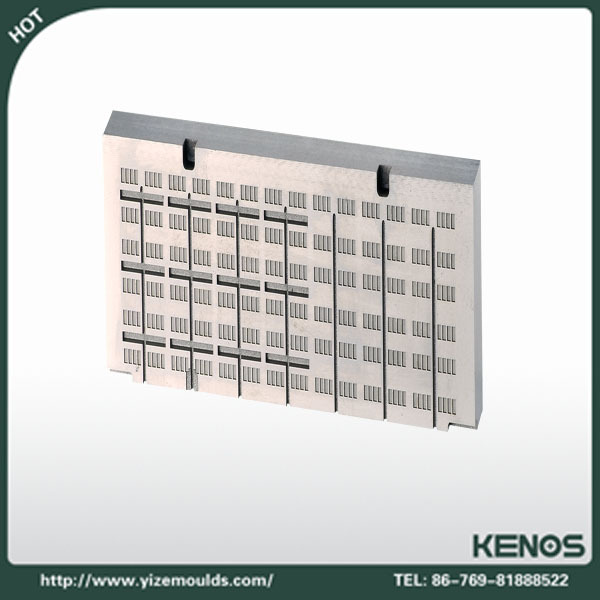 Dongguan Yize Mould Co.,Ltd. 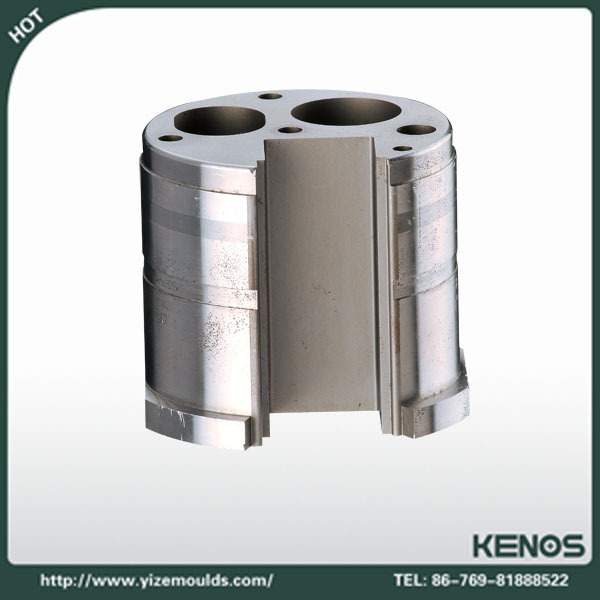 is a manufacturer specializing in producing precision mold parts for 8 years. 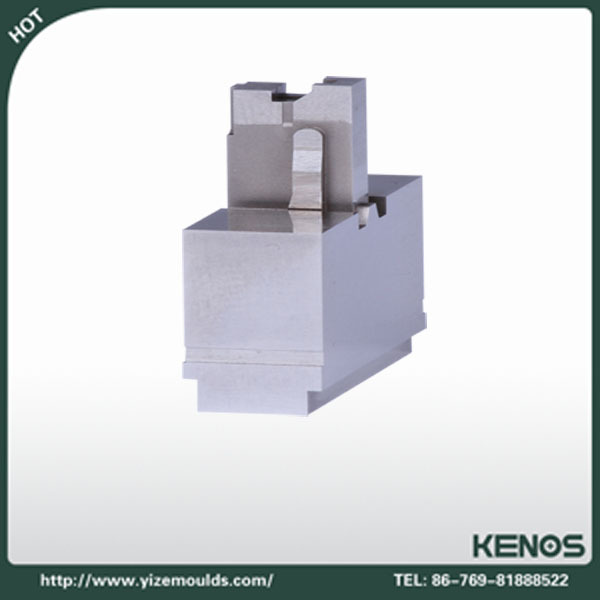 Our quality products are used in many fields such as precision connector mold parts, plastic mold parts, punch mold components, stamping mold parts, die casting mold parts,machinery,core pins and sleeves, tungsten carbide mold parts, etc.The advanced technology and high quality service have obtained us a good reputation from customers at home and abroad. 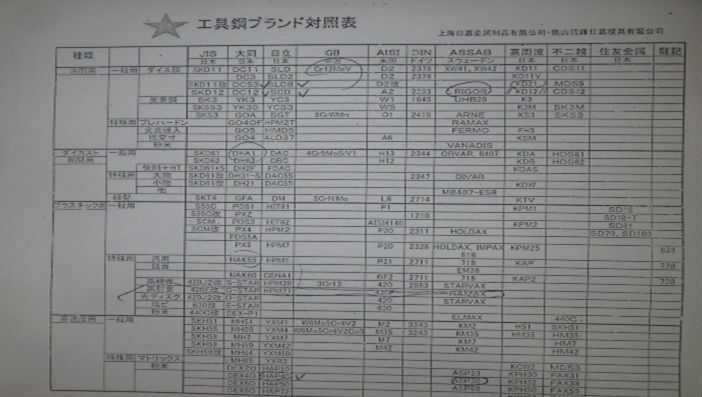 Yize adopts advanced manufacturing equipments and processing technology that from Japan.Our products are 100% exported, mainly Japan, United States, Southeast Aisa and Europe. We mainly make nonstandard parts as per drawing or supplied Grinding tolerance within 0.001mm,EDM and wire cut precision within 0.005mm,axiality within 0.002, circularity 0.0015mm, surface roughness Ra0.025,linearity 300mm within 0.002 are the production precision available. 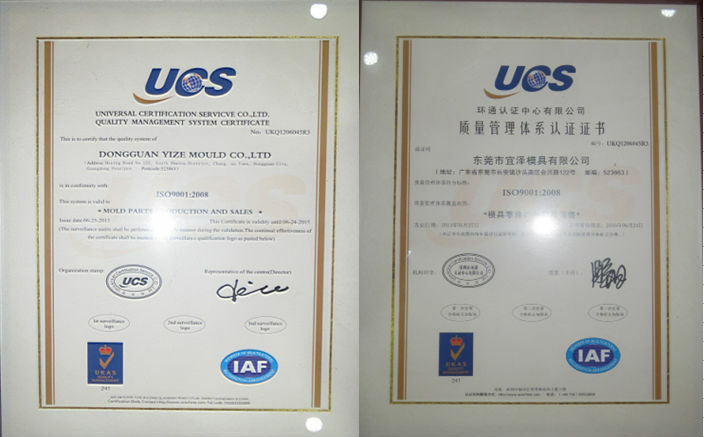 We passed the ISO 9001:2008 on 2013,it is a great honor and result of our long term focus on this field.